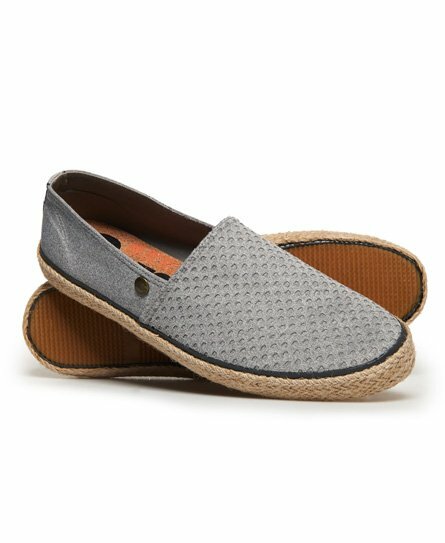 Superdry men's Adam espadrilles. The perfect finishing touch to any summer outfit, these espadrilles are classic in design and feature a subtle metal logo badge on the side of the shoe. The Adam espadrilles are completed with a Superdry logo patch down the heel.